We are Here to Sort it Out. So that you can rest easy. 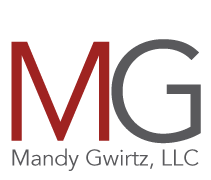 Attorney Mandy Gwirtz is a former Public Defender and Prosecutor and has successful litigation experience in Northeast Ohio. With experience ranging from Assistant Prosecutor and Assistant Law Director for the city of Lakewood to working as an Assistant Public Defender in Lake County for over ten years, Mandy practices in the area of criminal law, DUI and traffic citations, estate planning, wills, probate and appeals. For more information or a free consultation, please contact Mandy online or by phone at 216-481-0020. Contact us by using our online contact form or by calling our office at 216-481-0020.